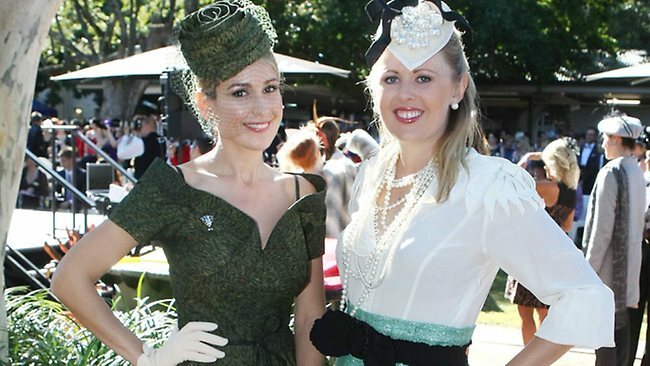 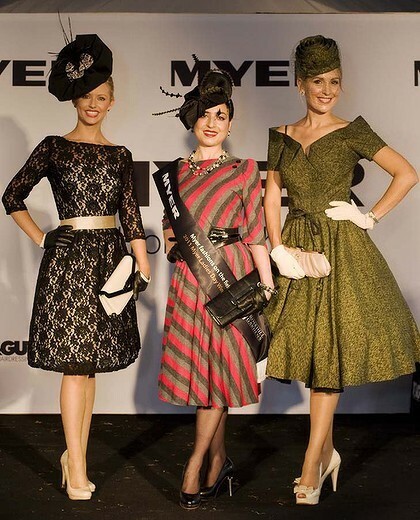 I was so excited to see lovely Tanya Lazarou (right) looking stunning in the vintage 50s dress she bought from me when she won Fashions on the Field at Queensland Oaks Day (centre photo). She was also first runner up at Myers Ladies Day, Sydney Carnival Rosehill Gardens (top and bottom photo). Congratulations Tanya and thank you for shopping with me.